Senior pictures don't have to be complex. Using simple lighting techniques we were able to capture an updated look in this senior session. We had the subject just lay on a concrete floor in a relaxed position. There were a number in this series, but this one just seem to draw us in. You can contact us any time with questions or to find out additonal imformation. We shoot with a style that plays with shadows as much as light. It is this combination of light and shadows that gives our images a beautiful three dimensional look and feel. We don't want our images to look flat. Our expertise in working with shadows is what makes our images seem to pop. Imagine what your senior pictures will look like when shared on social media, text or email. We always look for the WOW in our images. We do a lot of senior portrait session with seniors from North Murray High School, in Chatsworth. But we are not exclusive to any of the local schools. While this specific image is not from Murray County High School in Chatsworth, a number of our examples in our gallery are. 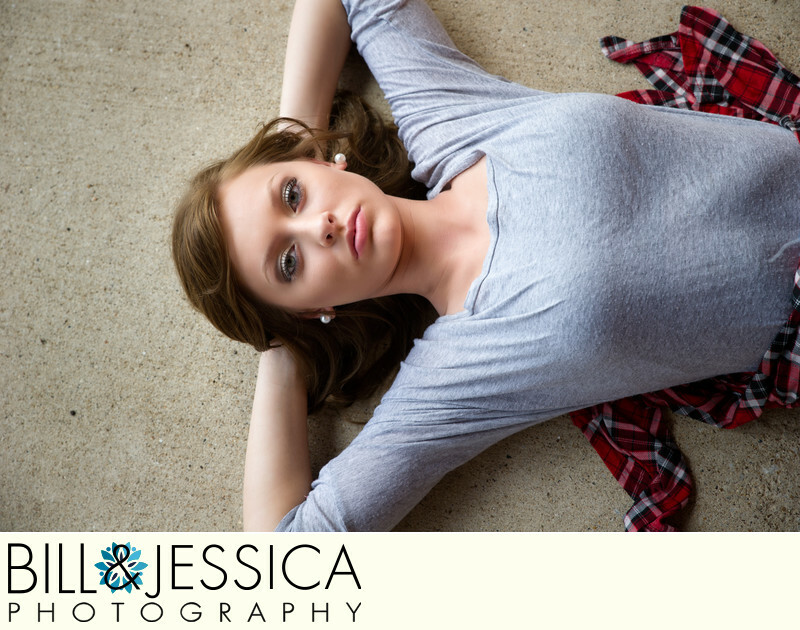 We also do senior pictures for Pickens High School, Gilmer High School in Blue Ridge and Ellijay GA.
Keywords: Seniors (333). 1/125; f/5.6; ISO 200; 70.0 mm.